Clean Up City of St. Augustine, Florida: SAVING FISH ISLAND PARK with Florida Forever Funds: NO Appeal Filed by Would-be Developers -- What's next? SAVING FISH ISLAND PARK with Florida Forever Funds: NO Appeal Filed by Would-be Developers -- What's next? Sleepy St. Augustine woke up to wonderful news on September 8, 2018, our 453rd anniversary. NO APPEAL was filed by D.R. HORTON, INC., FISH ISLAND DEVELOPMENT, LLC, JIM YOUNG and THOMPSON BROS. REALTY of their misbegotten misguided plans to destroy iconic, historic Fish Island for yet another gated community. The applicants' time expired on Friday, September 7, 2018. No appeal. I have never been prouder to live in St. Augustine, Florida. Thanks to our stellar PZB for its wise decision. Thanks to Matanzas Riverkeeper Jen Lomberk everyone who attended and spoke at the July 3 and August 7, 2018 PZB meeting, and those who tried to attend and speak. (Standing room only). 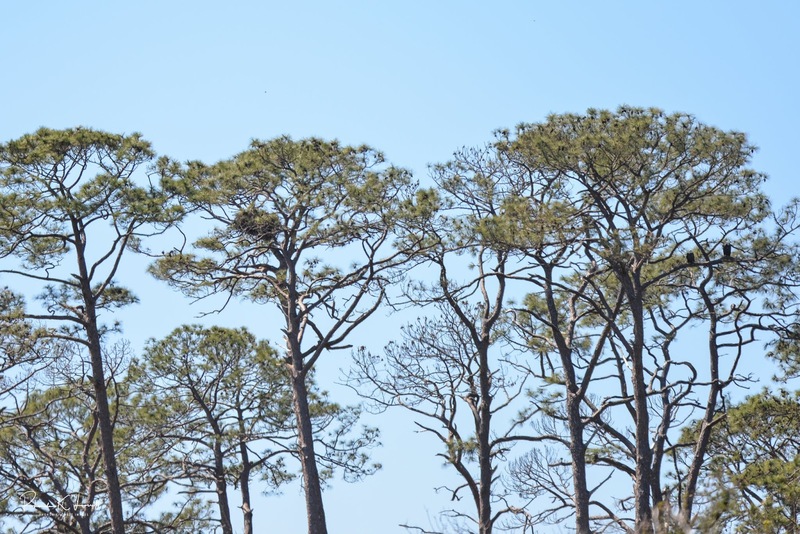 What's next: St. Augustine National Historical Park and National Seashore, first proposed by Mayor Walter Fraser in 1939, and introduced in Congress by Senators Claude Pepper and Charles Andrews and Rep. Joseph Hendricks. Thanks to D.R. Horton, Fish Island Development LLC, Jim Young and partners, including Pierre and Paul Thompson, the Rogers Towers law firm and lawyer Ellen Avery Smith for NOT appealing from PZB. For doing their jobs independently, based upon the law and facts of record, without fear or favor of vast corporate power and wealth: Thanks and praise to PZB Chair Sarah Ryan and PZB members Grant Misterly, Karen Zander, Sue Agresta, Matthew Shaffer, the five PZB members who unanimously voted down the PUD. Thanks also to PZB member Carl Blow, who bailed on voting and participating after staff stigma or pressures in retaliation for his asking questions of the applicant in one of those ex parte meetings City officials must stop holding with developers. Three cheers for PZB members' independence, despite low-down, lousy, dirty, unseemly, undisclosed, illegal, indecent pressures brought upon them by City staff and Commissioners, some of whom expect PZB members to be lapdogs and not watchdogs, as when they adopted Ordinance 2018-11, allowing "at will" firing of PZB. members. The time for action on Fish Island is now. In his private capacity, St. Johns County Commission Chairman I. Henry Dean, who authorized me to tell PZB that he believes this would make an ideal location for a park. He's got some 40 years of environmental law and policy experience, including dozens of years of experience in acquiring land for parks for the State of Florida and two of its five water management districts. Chairman Dean spoke to a meeting of the Matanzas Riverkeeper on September 12, 2018 on the next steps to saving Fish Island Park. the last undeveloped natural parcel bordering the pristine Matanzas River, which is a prime oyster-growing waterway. What's next? We the People are going to preserve Fish Island as a Park. 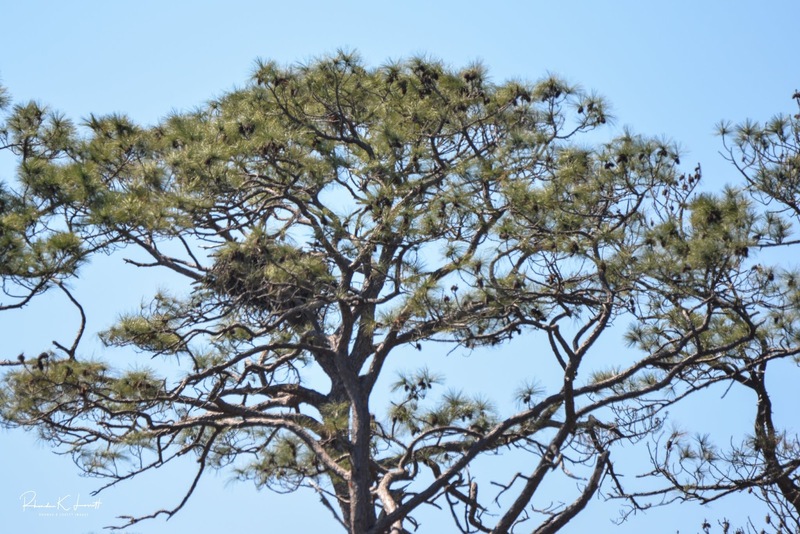 Thanks to Florida Forever and Florida Amendment 1, there is constitutionally-mandated State of Florida funding to buy parklands. Ask the City of St. Augustine Beach, which bought two parks with Amendment 1 funds. Prediction: Fish Island will become part of the St. Augustine National Historical Park and National Seashore, first proposed by Mayor Walter Fraser, Senator Claude Pepper, et al. in 1939. Three cheers for all of the activists and citizens who spoke, especially to Matanzas Riverkeeper Jen Lomberk, to Sierra Club and Audubon Society witnesses who showed the bald eagles' nest photos and disproved testa-liar RYAN CARTER's testimony, to former St. Augustine Beach Mayor S. Gary Snodgrass, and to former City Archaeologist Carl Halbirt. Decisions are made by people who show up. (My closing testimony, after 34 hearing witnesses, is at 2:27. As I speak, right behind me, to left, with eyeglasses, casual shirt and no tie, watch D.R. HORTON's witless witness BOB PORTER laugh when I go to the podium and testify, asking to call DONALD R. HORTON himself as a witness, about D.R. HORTON's $660,000 in recent EPA and OSHA fines, about D.R. HORTON's unsafe workplaces and refusal to respond to telephone messages. I reckon PZB's 5-0 appeal-proof, unanimous vote wiped that smile off PORTER's face. Recommendation of a rezoning from Commercial Medium-2 (CM-2), Residential General Office A (RGO-A), and Open Land (OL) to Planned Unit Development (PUD) to allow for a maximum one hundred seventy (170) single family units, community dock, and recreational amenities; and approval of an associated preliminary subdivision plat. Recommendation of a rezoning from Commercial Medium-2 (CM-2), Residential General Office A (RGO-A), and Open Land (OL) to Planned Unit Development (PUD) to allow for a maximum 170 single family units, community dock, and recreational amenities; and approval of an associated preliminary subdivision plat. No thanks to DAVID DOUGLAS BIRCHIM, respectively our City Planning and Building Director. Karen Zander put it best when she said that BIRCHIM was a cheerleader, "with pom-poms flying." No thanks to the St. Augustine Record, a maladroit weak daily newspaper of general circulation founded by Henry Flagler's news-frontman in 1894. The Record's one editorial and nearly nonexistent news coverage omitted key details. Shame on the Record. Once again, The Record failed to fulfill the Founding Father's expectations of newspapers as watchdogs. The Record remains a lapdog for developers, including PIERRE THOMPSON, grandson of the founder of the tatterdemalion St. Augustine Record, who acted for years as Henry Flagler's frontman in starting and running the newspaper. 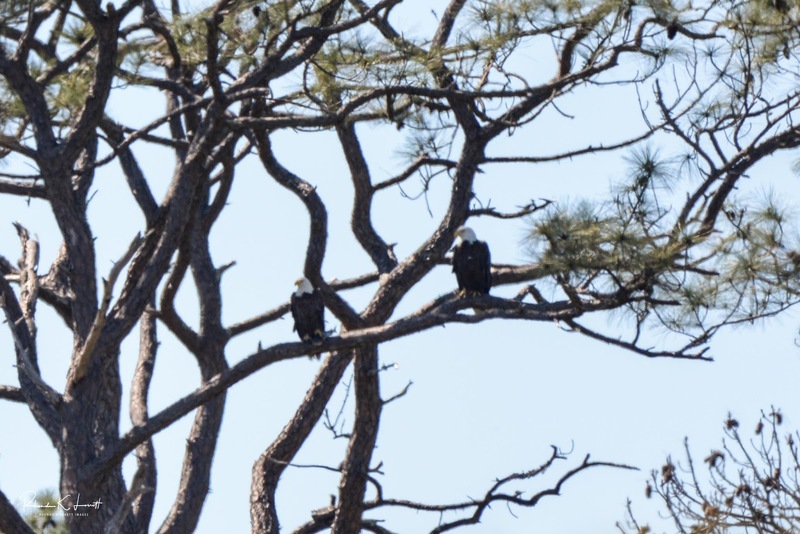 PIERRE THOMPSON destroyed a bald eagle nest tree on Fish Island in October 2001, successfully prosecuted in United States of America v. THOMPSON BROS. REALTY. On July 3, 2018, the day before Independence Day, ROGERS TOWERS partner ELLEN AVERY-SMITH, on behalf of Texas billionaire DONALD R. HORTON and St. Augustine landowner PIERRE THOMPSON, presented false testimony that bald eagle nest number SJ019 on Fish Island is "abandoned." The bald eagle is our national symbol, no longer endangered but still a threatened species, legally protected by two federal criminal laws, the Bald and Golden Eagle Protection Act and Migratory Bird Treaty Act. 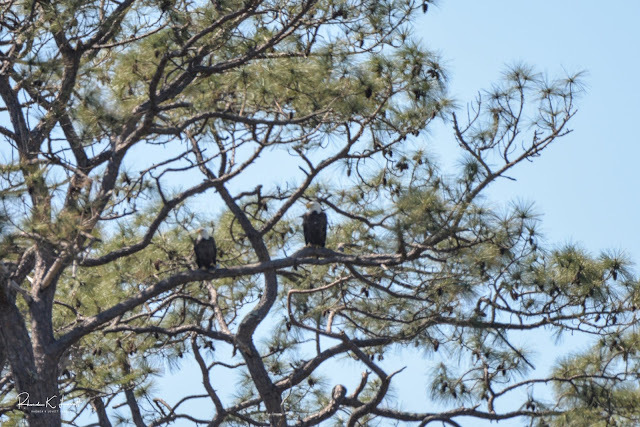 In fact, during the 2017-2018 season, the "abandoned" bald eagle nest was shown to be an active bald eagle nest, with a nesting pair and babies. Like a proverbial "hog caught under a gate," these developers, their "expert" witness and their lawyers could face possible criminal prosecution and ethics charges. I filed a complaint with the Securities and Exchange Commission about violations of SEC Rule 10b-5, codified at 17 C.F.R. 240.10b-5.